OTTAWA — Jeffrey Rosenthal, author of the national bestseller Struck by Lightning, will explain randomness and probability in a public lecture on Friday, Dec. 5 at 5 p.m. as part of the Canadian Mathematical Society’s Winter Meeting. The University of Toronto statistician is a multi-talented author, improv comedian and musician and was featured in the 2012 Cadbury commercial exploring the probability of winning a golden ticket. Rosenthal is known for his entertaining lectures and ability to frame complicated statistical analysis in terms that are accessible for the general public. He often uses examples such as murder rates, lotteries and strange coincidences to explain probability, drawing inspiration from his book Struck by Lightning. Rosenthal believes that understanding statistics can often ease people’s concerns about the possibility of catastrophic events, such as plane crashes and terrorist attacks, occurring. Rosenthal admits he was a nervous flyer before analyzing the numbers and concluding that his plane was far more likely to be late than to crash. Rosenthal’s public lecture will launch the 2014 Canadian Mathematical Society Winter Meeting. Over 500 mathematics professionals, students and educators from Canada and around the world are expected to attend. The lecture takes place at the Hamilton Sheraton on Friday December 5 at 5 p.m. in the East Ballroom and is free event. No mathematical background is required to attend. 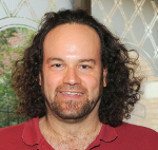 Jeffrey Rosenthal is a professor in the Department of Statistics at the University of Toronto. He received his BSc from the University of Toronto at the age of 20; his PhD in Mathematics from Harvard University at the age of 24; and tenure at the University of Toronto at the age of 29. He received the 2006 CRM-SSC Prize, the 2007 COPSS Presidents' Award, the 2013 SSC Gold Medal and teaching awards at both Harvard and Toronto. He is a fellow of the Institute of Mathematical Statistics and of the Royal Society of Canada. Rosenthal's book for the general public, Struck by Lightning: The Curious World of Probabilities, was published in 16 editions, 10 languages and was a bestseller in Canada. He has also dabbled as a computer game programmer, musical performer and improvisational comedy performer and is fluent in French. His web site is: www.probability.ca. The CMS is the national mathematics organization that promotes the advancement, discovery, learning and application of mathematics. The Society's activities cover the whole spectrum of mathematics including: scientific meetings, research publications, and the promotion of excellence in mathematics education at all levels. The CMS annually sponsors mathematics awards and prizes that recognize outstanding achievements.